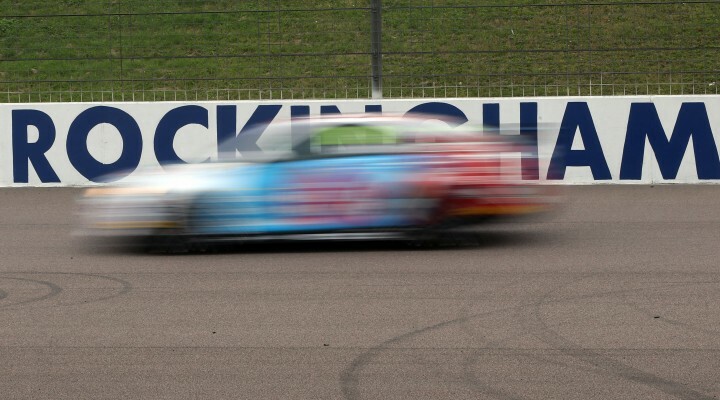 Jason Plato set the fastest time in an interrupted second practice at Rockingham ahead of Andrew Jordan and pace-setter from the earlier session Sam Tordoff. Plato put in some top times early on to go fastest and was the first and only driver so far to drop below a 1:23s circulation. On a consistent run of quick laps the #99 machine posted a time of 1:22.803s to gap the chasing pack by almost half a second. Behind Plato the times around the 1.94-mile circuit were unbelievably close, with second placed man Jordan separated from sixth placed Colin Turkington by less than one tenth of a second. Indeed as the chequered flag came out, second to twentieth were covered by just a second. There wasn’t much improvement at the top of the times when the green flags came out ten minutes later. Jordan had posted his quickest effort just before the stoppage and didn’t improve thereafter, but further down the order a number of drivers made a late surge. The Quantel Bifold MG of Marc Hynes set some impressive times on his first visit to the Rockingham cathedral of speed. He ended the session seventh fastest, just ahead of the Honda Yuasa Racing machine of Gordon Shedden. Both Shedden and his team-mate Matt Neal had a quiet FP2, with the latter ending up just outside the top ten at the chequered flag. Aron Smith was another driver to set the timing screens alight late on. The Dubliner went out on a quick run in the final ten minutes of practice, moving up to fifth fastest ahead of championship leader Colin Turkington. Qualifying gets underway at 15:40.